Charlottetown is the provincial capital of Prince Edward Island, Canada and its largest city. The city was named after the British queen Charlotte of Mecklenburg-Strelitz (consort of King George III) and was the location of the Charlottetown Conference in 1864. Over the years, the city has grown and today it attracts plenty of visitors each year. Back in 2007, a new cruise ship terminal was opened to encourage ships to include Charlottetown as part of their itinerary. 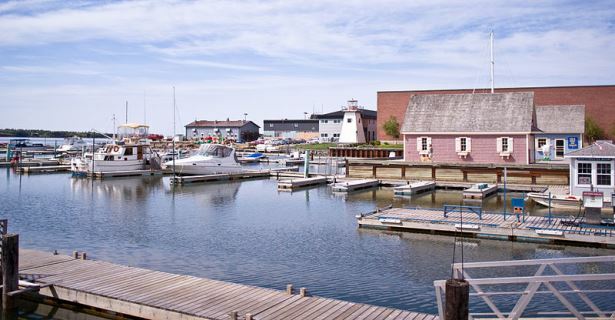 Although Charlottetown is considerably smaller than the busy Canadian cities of Toronto, Edmonton and Calgary, it is not without its charm and it has much to offer visitors. From the well-preserved buildings from the Victorian era to the different types of Charlottetown hotels, motels, apartments and other accommodation in Charlottetown, this lovely city will make you feel right at home. When you venture out from your hotel accommodation in Charlottetown, you will experience the local hospitality for yourself. The locals are known for being friendly and very helpful so if you are looking for the best restaurant in the area or simply trying to find your way back to your hotel room, they are normally all too willing to help. In terms of sights, it’s important to note that there are 11 National Historic Sites of Canada located in Charlottetown so there’s no shortage of history and culture here. Two of the most prominent of these sites are the Province House (location of the Charlottetown Conference) and the Confederation Centre of the Arts. The ones you choose to visit will depend on your interests and personal preference, of course. It is also important to remember that the Confederation Centre of the Arts hosts several events and performances throughout the year including the annual Charlottetown Festival. Founders’ Hall is a fascinating museum that depicts with detail the history of Charlottetown and Canada. The displays are designed to make you feel like you have been taken back in time to witness all the events of the time with your own eyes. As educational as this site is, it is also a great deal of fun, particularly for younger visitors. If you fancy a day out and some fresh air, then make sure to visit Victoria Park or Confederation Landing Park, or both if you like. They both offer superb views, fantastic walking paths and space for young ones to run around and play. Another lovely outdoor adventure is a trip to Blockhouse Point Lighthouse and the nearby Port-la-Joye-Fort Amherst. Both are perfect for enjoying a relaxing stroll and even taking a seat as you enjoy the stunning natural sights and view of the harbour. A visit to Peakes Quay is also worthwhile and is perfect for an evening walk. Remember, the locals are quite friendly and you are bound to be greeted along the way. If you are looking for something to do on a rainy day that does not involve being stuck in your hotel accommodation in Charlottetown for the better part of the day, then make your way over to the Charlottetown Farmers Market. You will find all kinds of fresh local produce, spices and lots more right here. The Charlottetown Mall is another good place to enjoy some shopping and visit if the weather isn’t all that pleasant outside. There are also plenty of small stores throughout Charlottetown so keep your eyes open as you walk around. You never know when you might find the perfect souvenir or gift. Take note of the various tour operators in the area when booking your trip. Some specialise in activities like lobster fishing while others are all about sightseeing in Charlottetown. The tour or tours you sign up for really depend on your personal preferences. In addition, you may want to find out if they are able to pick you up from your hotel accommodation in Charlottetown or establish the meeting point before making any reservations.